Perlè is a contemporary woman’s boutique where you’ll find fashions that bring out the best in you. 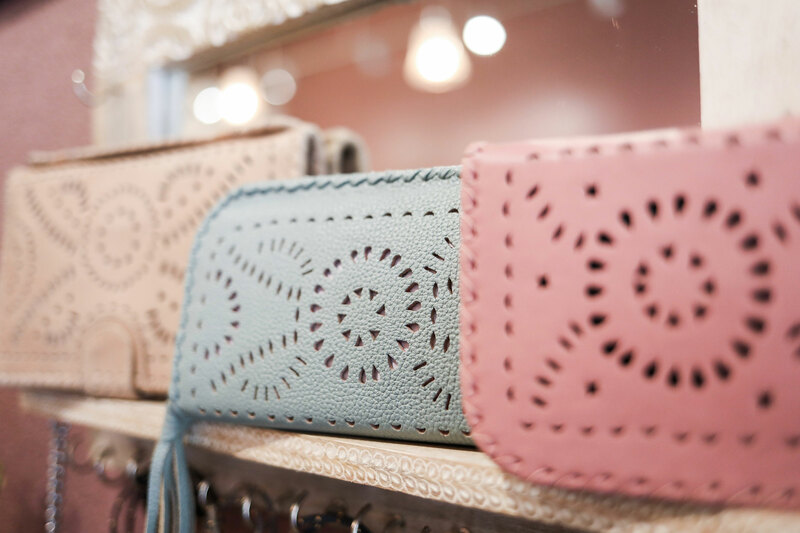 Not your typical boutique, we hand pick each style to make you feel beautiful inside and out. Fashion is only skin deep without caring about what you give back to the world. Always inspired by the Sonoma community, we look at brands and designers that make conscious choices, and not only do we offer the season’s most-wanted must-haves, but we also find ones that are giving something back to their communities. Gather your friends to shop at Perlé and have the entire store for yourselves after hours. It is the ultimate shopping experience as you sip on a glass of bubbles or a beverage of your choice while you peruse the store and play with your friends. Customize your party as you dreamed of. We will include complimentary wine with light hors d’oeuvres. Plus our experienced staff will assist you and your entourage with whatever style advice you may desire. Give us a call to book your private party. Stay tuned for special sneak peak shows. Where Perlé spotlights fashion brands and brings the specialist to our Sonoma store to view the collection. A great way to see what is hot in the fashion world and meet designers and reps. Or join us at our special pop up wine and cheese cocktail parties when new fashion meets you at one of your favorite tasting rooms. At Perlé we love to bring the new and inspiring to you. So check in with us often for special events.